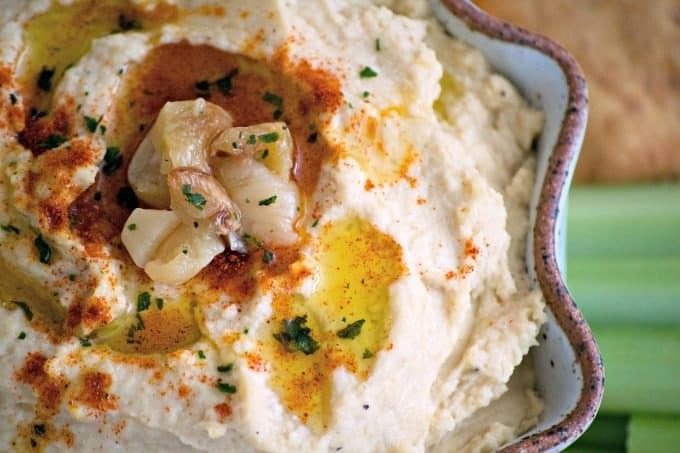 Roasted Garlic Hummus is made with roasted cloves of garlic, tahini, lemon juice and some spices. Serve it with some pita chips, and a variety of vegetables and you’ve got the perfect and healthy treat for snacking in the new year. 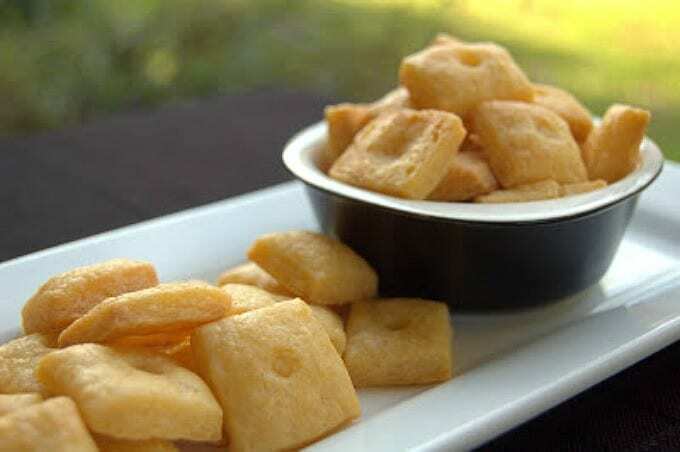 You’re going to love this snack! 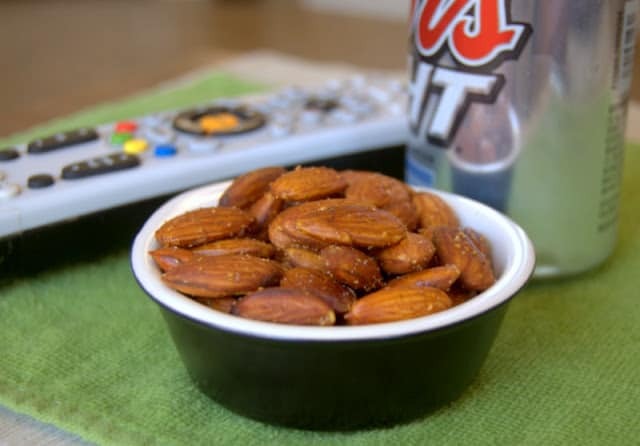 Looking for something healthy and delicious to snack on since the holidays are over? 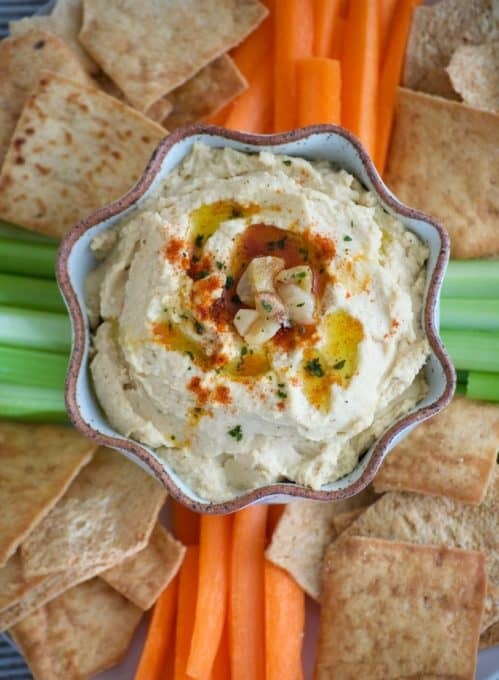 I’ve got it for you, this Roasted Garlic Hummus. I’m loving it all day, every day. I’m eating it for lunch, or as a snack throughout the day. It goes great with pita chips, celery and carrots, and I’ve also been spreading it on a wrap before I add my spinach, cheese and grilled chicken. Hmmmm… I’m loving that wrap so much and have been eating quite a few that I should probably put that up on the blog as well. I found the directions for roasting the garlic Simply Recipes. Peel the outer skin away from a whole head of garlic, leaving the individual cloves intact. With a sharp knife, cut 1/4 -1/2-inch away from the tops, so that the individual cloves of garlic are exposed. Place the head of garlic onto a square of aluminum foil. You'll be using this to wrap it in. Drizzle olive oil and gently massage it into each clove. Wrap the garlic in the aluminum foil and place into preheated oven to bake for 30 minutes or until cloves are tender. Allow the garlic to cool so that it can easily be handled and by squeezing the ends of each clove remove the garlic from the skin. 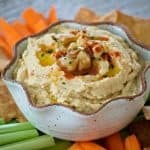 Can be eaten alone, used in this hummus recipe, mashed on bread or toast, used in pasta sauce, and a variety of other ways. 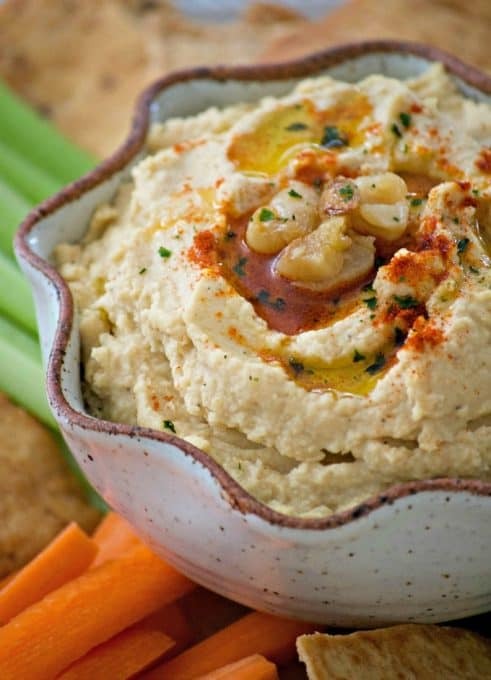 Place all of the hummus ingredients with only one of the tablespoons of reserved chickpea water into a blender or food processor. Mix until completely smooth and well blended, adding the additional water if needed. Store in a tightly covered container in the refrigerator. 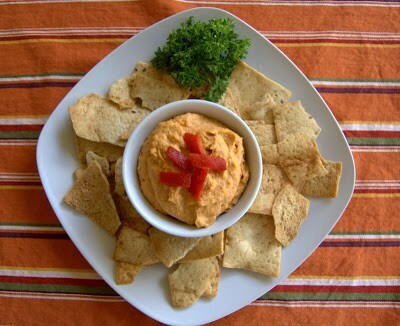 Here’s a great video for how to make the hummus!